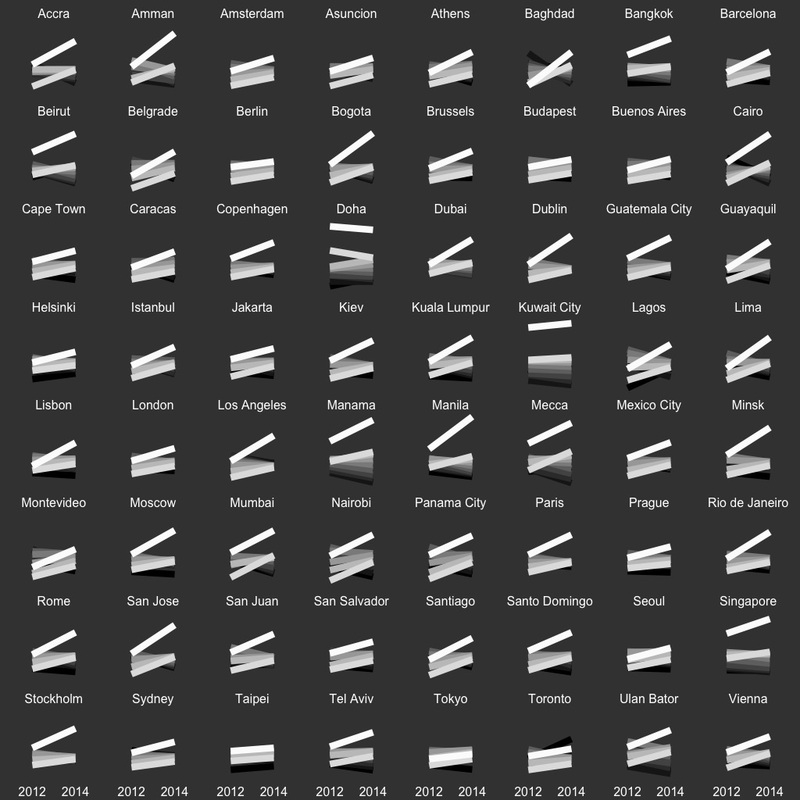 This is a glyph slopegraph that depicts the change between 2012 and 2014 across ten brightness bins of Twitter image slices from 64 global cities. The brightness of each line represents the brightness of slices in that bin. We see that the brightest slices have increased relative to the rest.